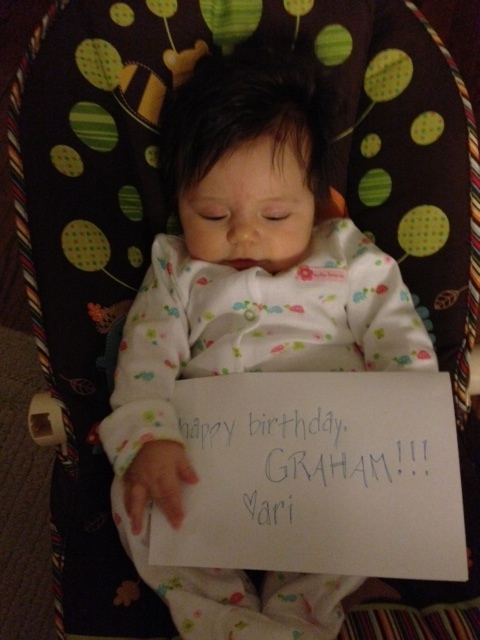 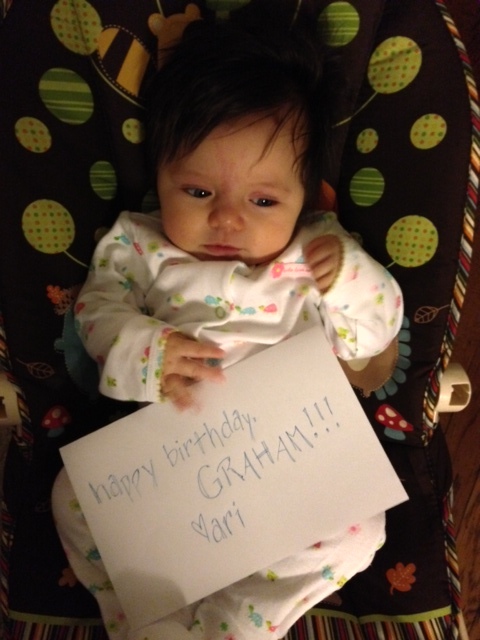 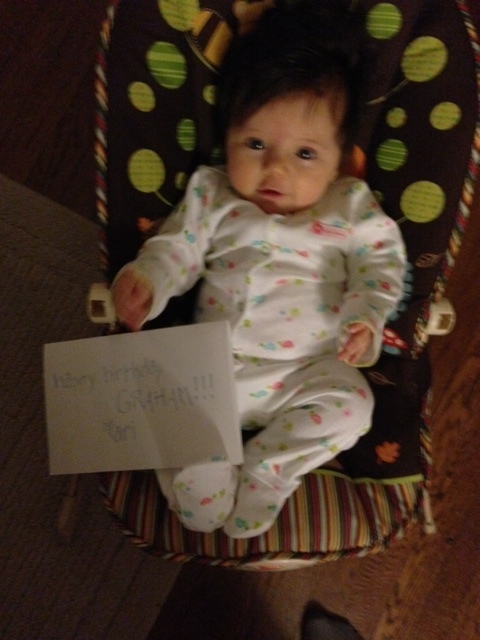 Graham, do you think you can help Ari out with her artistic skills? 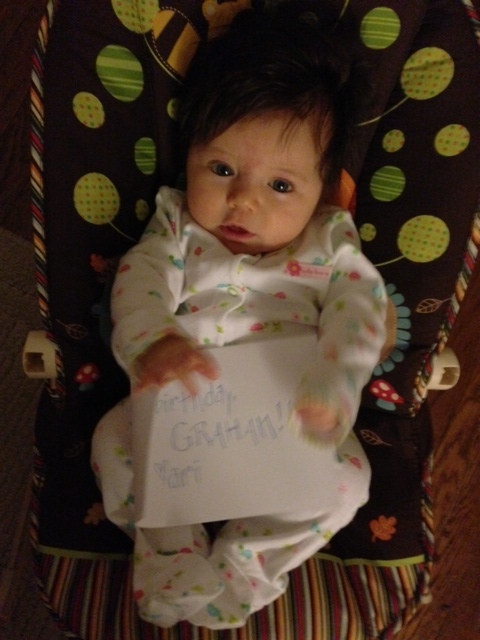 Graham looks remarkably like the baby in the commercials for some investment firm who “talks” about his investments, and how difficult it is to work on them when people put him in his crib, etc. 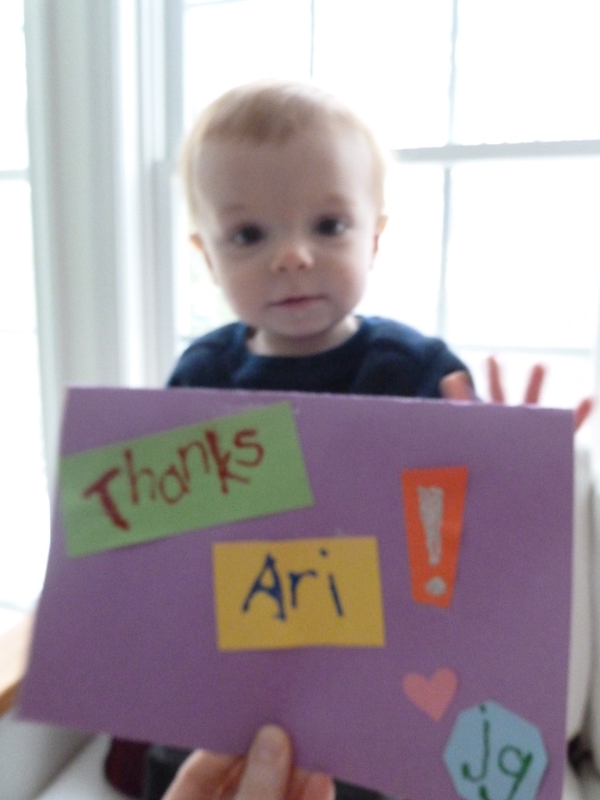 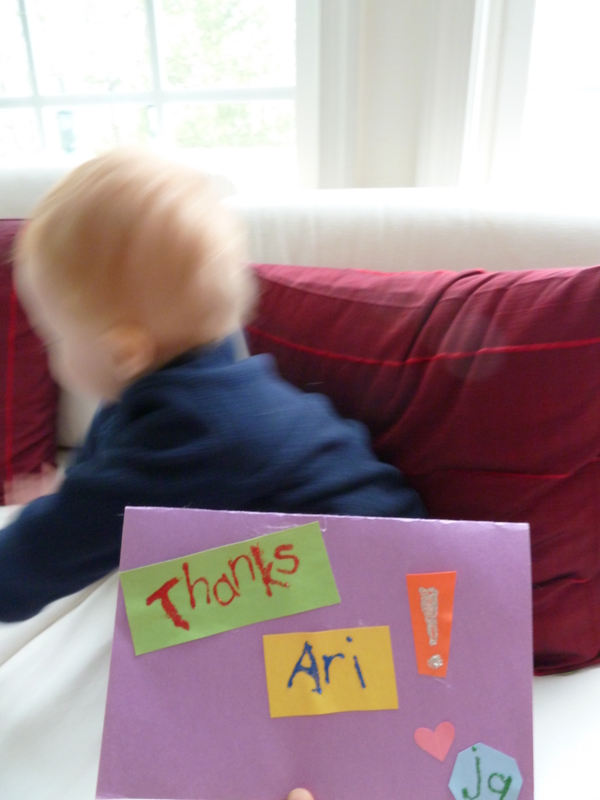 As for artistic skills, Ari’s handwriting is quite good, especially for someone of her age!